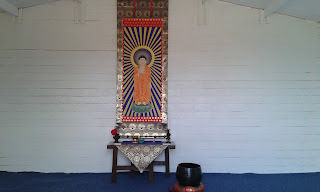 - I renovated, arranged and did some repair on the inside of the Hondo (Dharma Hall). 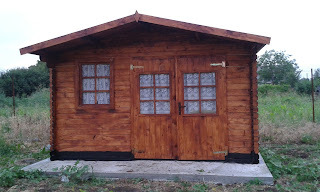 I also added some liquid thermal insulation and painted the walls. 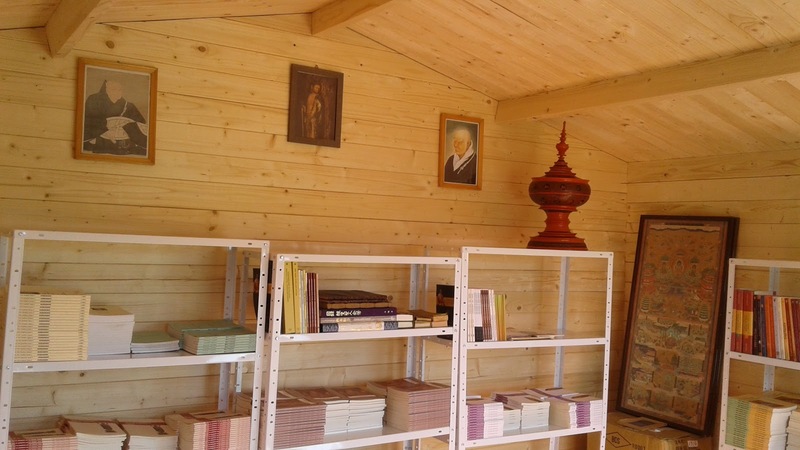 - I built a new wooden house which is now used as the LIBRARY of Amidaji. Both members and visitors, as well as students, are welcomed to borrow copies and even receive some as gifts. 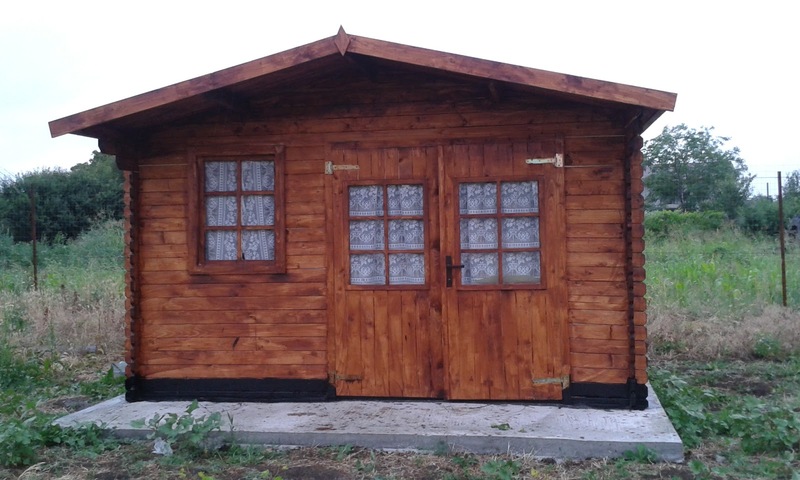 It will also be used as an accommodation room for visitors who wish to stay for a few days. 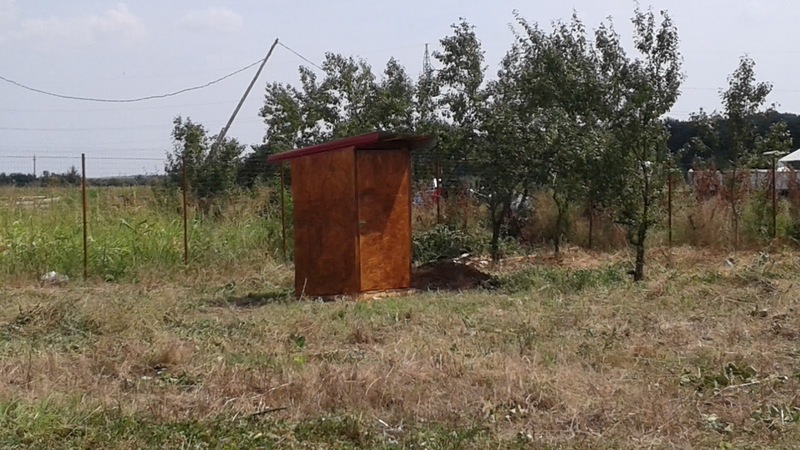 - a new wooden toilet - this was just built some days ago from the recent donations, so its the last update :) I payed 150 euro for it. 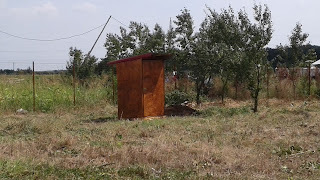 I mention that in the village where I built Amidaji (20 minutes from Craiova town) there is no running water and no sewerage, so until I built the toilet the visitors had to use a toilet located outside of the temple courtyard. 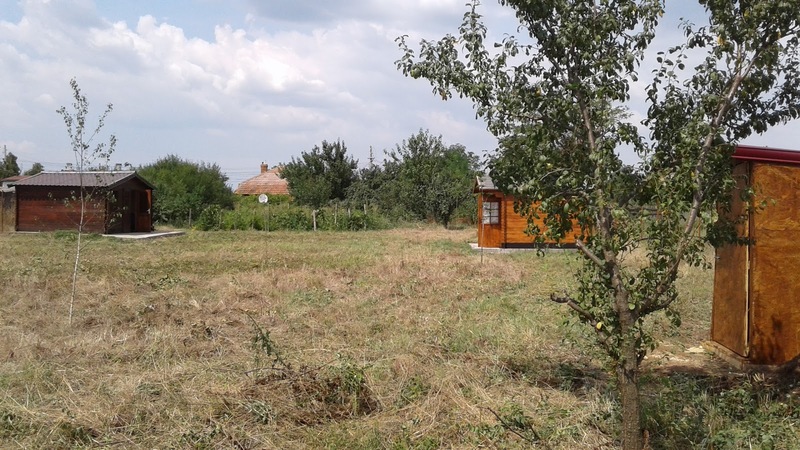 Also, now, the water we use at Amidaji is brought from a well situated at some distance from Amidaji, so it is very important to solve this matter too, by having a well who belongs to the temple. 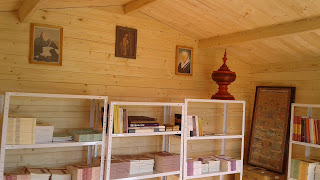 Vistors of Amidaji can sleep here in the library. sleeping bag will be arranged for them. 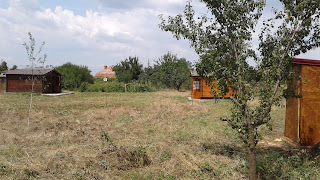 Of course, there are many other things to do until the whole Amidaji complex is ready. You can read the general plan here, if you wish. But at least I hope that with your help, the readers of this website and Dharma friends, I can succesfully finish (at least a part of) the items in the list above, and continue with the rest of the plan next year. So, if you can afford to, please help me continue with this project. Any little support and DONATION is very much appreciated. I really cannot continue without your help, as I do not have now all the above mentioned funds. The link for DONATION AND SPONSORSHIP is here (click here). Amidaji courtyard as seen from the back. and in the right is the Library. Also the link to order some of my printed books is here. Scroll down if you please, and perhaps consider the offer "support Amidaji temple pack" (2nd item in the list). I am very grateful to all those who helped me until now and who will continue to do so in the future. 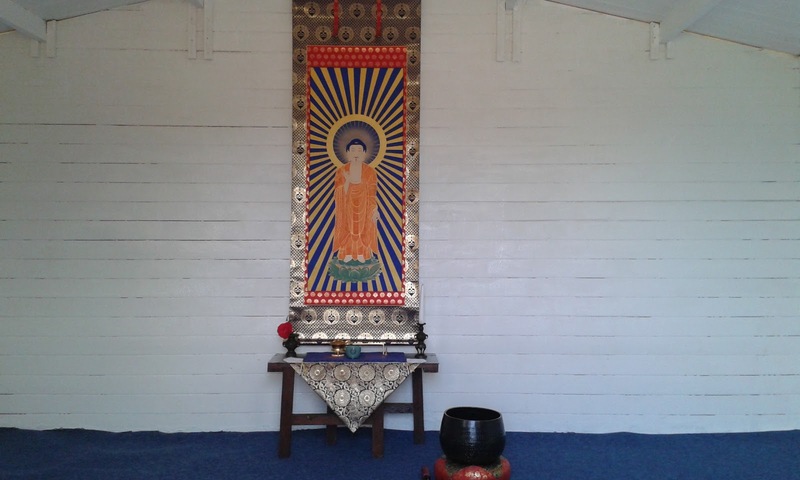 This temple depends on your kindness and generosity. Click here to read an announcement! Amidaji is opened to visitors!